T3 Agenda: Canon's compact PowerShot G1 X Mark III DSLR. Charge your iPhone X/8 with MagicMount. And more! 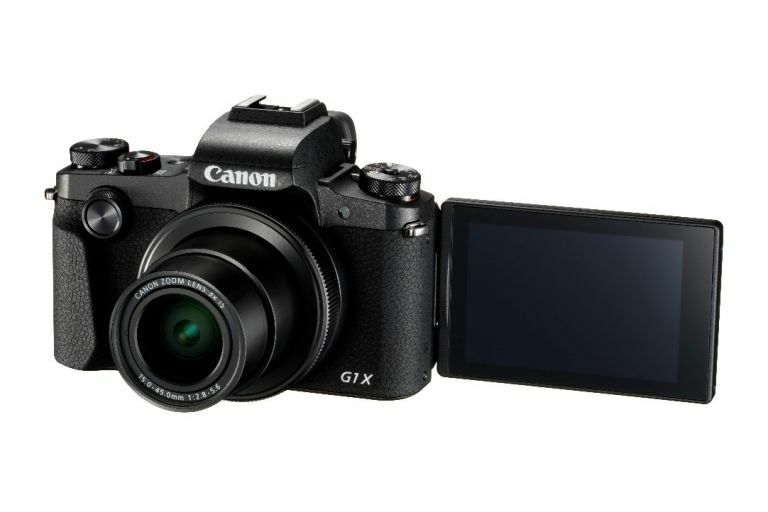 Canon has unveiled the much-rumoured PowerShot G1 X Mark III, its new flagship compact camera. Replacing the G1 X Mark II, it’s a powerful combination of Canon’s EOS DSLR image quality with the handling and compact size of a PowerShot. With a new, precision, 3x optical lens, an APS-C sensor and Canon's premium DIGIC 7 processor, you're getting all the heavy weight specs of a DSLR in a small form factor. This is also the first Canon compact to feature Dual Pixel CMOS AF (enabling you to focus rapidly on impromptu moments), and it joins 4-stop Image Stabilisation (for adapting and steadying the camera in any active shooting environment) as well as providing additional confidence when shooting in low light. Best of all, the Dual Pixel CMOS AF delivers precise and rapid focus in just 0.09 seconds, giving the level of responsiveness, speed and confidence needed for capturing a spontaneous shot at a moment’s notice. The PowerShot G1 X Mark III even supports the hassle-free capture of Full HD 60p movies in MP4 with smooth, stable filming, and a battery that last up to 25 per cent longer (while in Eco mode). The Canon PowerShot G1 X Mark III will be available from November 2017 with a price tag of £1,149. Scosche has unveiled a new Qi mounted charger cradle, the MagicMount, which offers wireless charging in your home or in your car. Designed for iPhone X, iPhone 8 and Android devices, the cradle-free design uses high-powered magnets to secure your device where you use it most - whether in you're on the move, at home or in the office. The MagicMount for vehicles is perfect for using Siri or Cortana while driving, as well as safely navigating by GPS. The versions for office and home include a 5-foot AC Wall Adapter and a 3-foot 12V car charger and a stickGRIP suction base. No word yet on official price points fr the MagicMount range for iPhone X/8 and Android, but Scosche has confirmed the products will arrive this month. Danish watchmaker Bulbul has launched the latest iteration of its popular Pebble range, the Pebble 10, which has been designed by Copenhagen industrial design powerhouse KiBiSi. Pebble 10 features matte black steel on a German-made Milanese mesh band from Vollmer. It’s addition to the Pebble collection is naturally impeccable timing and completes an enviable assemblage to shop from this Christmas. The collection ranges from €349 (£310) to €449 (£399).